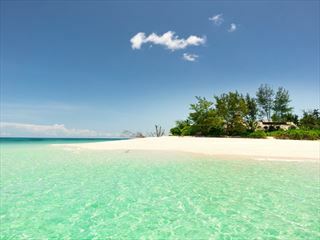 Sparkling white sand beaches that will make your jaw drop, luscious rainforest rife with colour and birdlife, laidback vibes and luxurious accommodation…you can have it all on this wonderful eight-night island hopping tour. 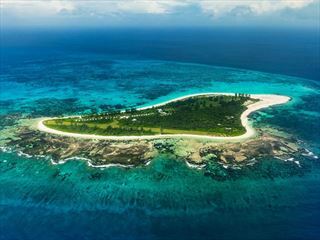 Begin with five nights on Denis Island, a stunning private island offering true seclusion and barefoot luxury. 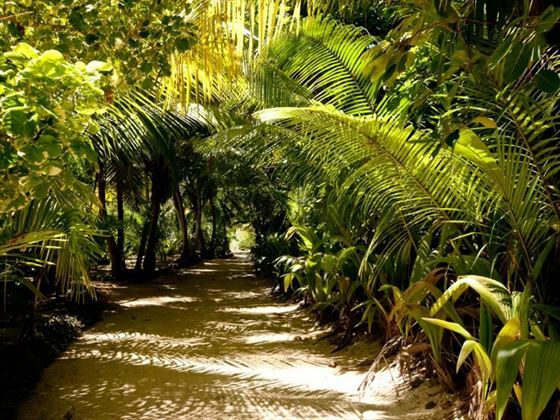 Cycle through the forest, visit the island’s farm and snorkel in the crystal-clear reefs, looking out onto endless views of the turquoise ocean. 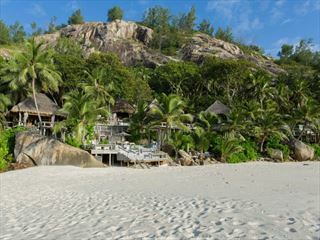 Next up is three nights at Kempinski Seychelles Resort, a beautiful hideaway nestled by the striking Baie Lazare lagoon, offering unforgettable views of the verdant forest from your Hill View Room. With a soothing spa and huge swimming pool, this is a great spot to relax and enjoy the views. 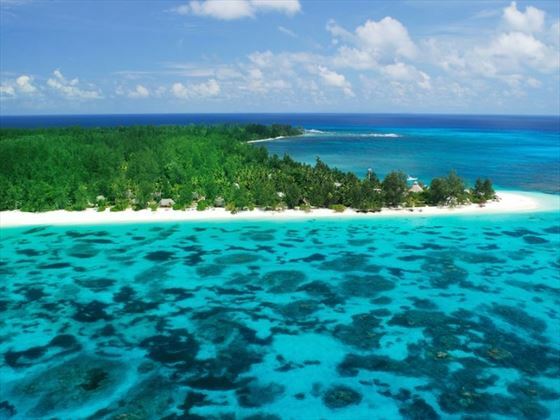 Upon arrival in Mahe, you will jump on an inter-island flight to Denis Island, a private island framed by pristine white beaches, shrouded in tropical jungle, and surrounded by impossibly crystal-clear reefs. The island has only 25 individual cottages, and you’ll be staying in one of the luxurious Beach Cottages for the next five nights Full Board. With a small terrace and garden area, you’ll feel wonderfully secluded here. 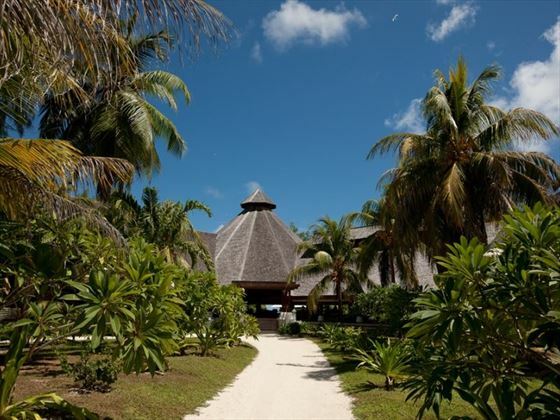 Spend your days cycling around the island on your complimentary bike, or snorkelling in the calm waters in search of exotic fish and turtles. There’s only WiFi and a TV in the library, leaving you to completely shut off from the modern world and simply enjoy the easy island life. 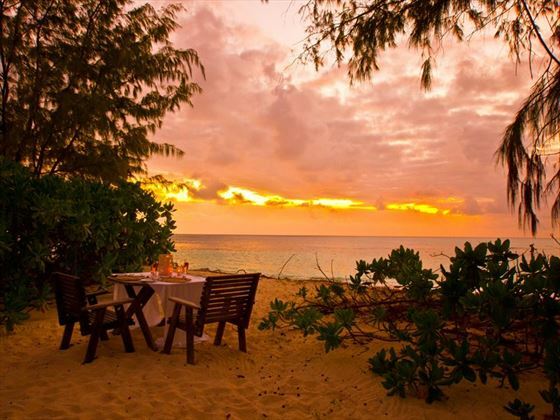 This is barefoot luxury at its finest – the ambience here is laidback and chilled, so much so that you don’t even have to wear shoes in the restaurant. The food is delicious, with vegetables grown on the island’s farm and flavoursome seafood caught straight from the sea - they even have their own homemade ice cream. 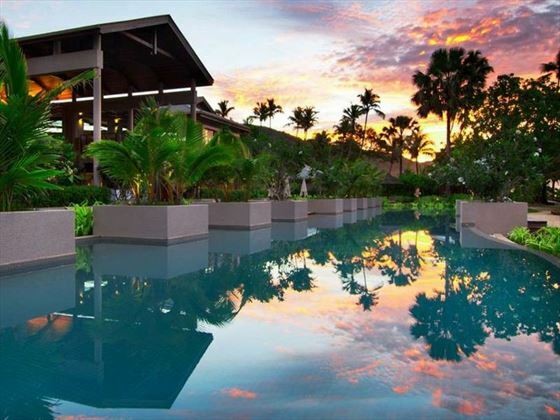 In the morning, you will board an inter-island flight back to Mahe, before transferring via private car to Kempinski Seychelles Resort where you will be staying Half Board for three nights in a Hill View Room. 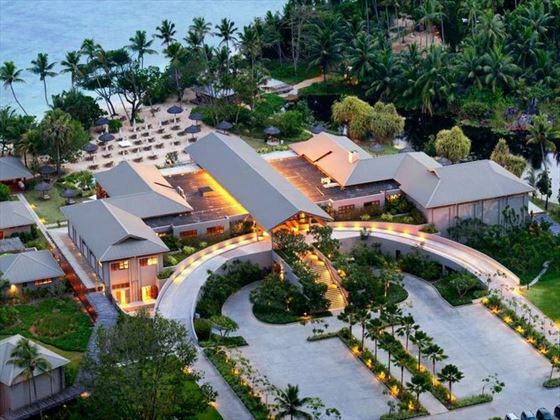 Nestled in the gorgeous Baie Lazare area of Mahe, this idyllic resort is full of cool island charm, surrounded by verdant rainforest and leading down to a sugary white sand beach. Your Hill View Room will be chic and contemporary, with a balcony that overlooks the luscious forest and a sparkling lagoon. 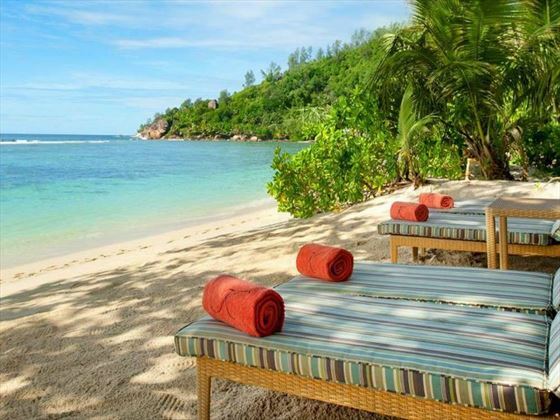 There’s plenty of places to relax and unwind at Kempinski Seychelles Resort, including the soothing spa, or the Tidal Lounge with its fun games room and cosy seating areas. 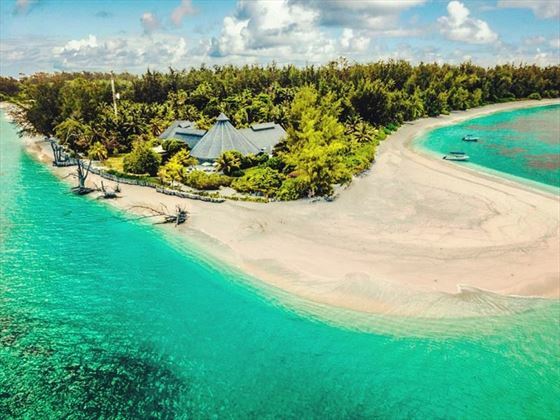 Should you fancy something a bit more exciting, the Palm Beach Casino and Watersports Pavilion are great for those wanting a break from relaxing on the powdery sand. 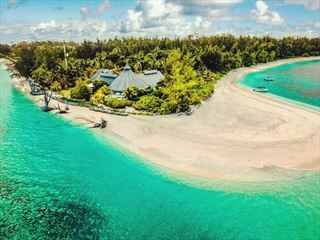 The resort’s location, Baie Lazare, is well-known for its incredible snorkelling, so be sure to take the plunge and swim alongside colourful surgeonfish and green humphead parrotfish. In the early morning, you will have a private transfer to Mahe International Airport for your onward flight.